First introduced to the motorcycling world in the mid-1980s, the Honda Interceptor is one of the first mass-produced four cylinder "V" street bikes. The V indicates that the cylinders are in a V-shape. 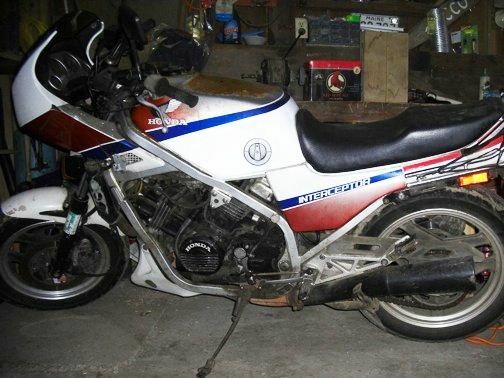 This classic street motorcycle is still being manufactured by Honda.